« The Sensuous Sahne Torte…. When the plums ripened in the late summer at my grandparent’s orchard in Croatia…life around the house became very busy. Every morning the maids had to go and pick up all the plums that had fallen off the trees and gathered them in large buckets. Then my grandfather hired men from the village to set up the still just outside the barn and the process of making Slivovic was started. Sliva is the word for plum in Croatian and Slivovic is the brandy that comes from plums. I cannot describe the process of making Slivovic, all I remember I was watching the men sitting around this contraption (still) talking and tasting the drops that came out of a small tube/hose. One afternoon I found all four of the men snoozing in their chairs. I gathered up my courage to taste the next drop that was hovering at the end of the tube to drop into the container below. I put my finger under the drop and when it fell onto my finger I stuck it into my mouth and to my horror it had a terrible flavor. At this point one of the men woke up and I had just enough time to escape his reaching hand that was going to let me know that I was not to be where I was. I was about 6 or 7 years old…. You see, my grandfather had an Inn that was a part of the big house called Bela Villa. And while the Sliovic was brewing, my grandmother was busy making a Plum Cake – Pita od Slive, but not just one, she usually made several cakes to be sold as dessert at the Inn. 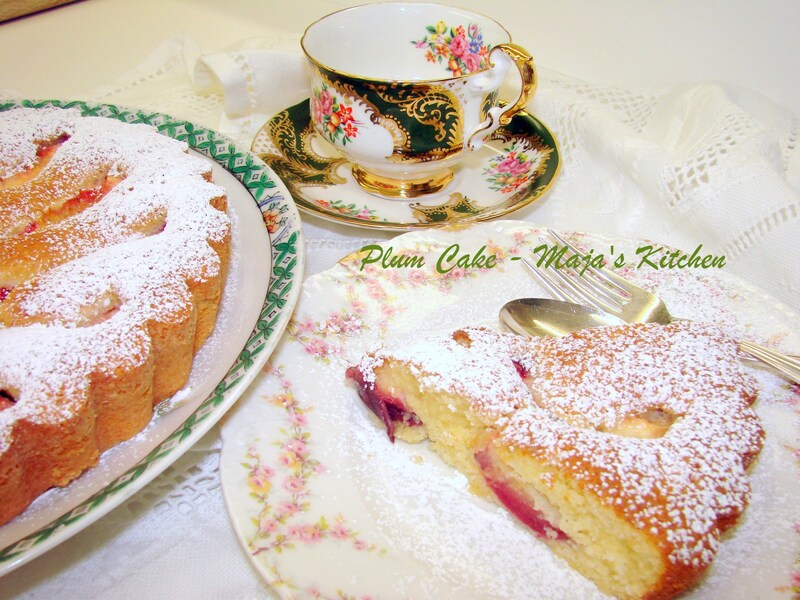 Here is my version of a Plum Cake which is translated from my mother’s recipe. 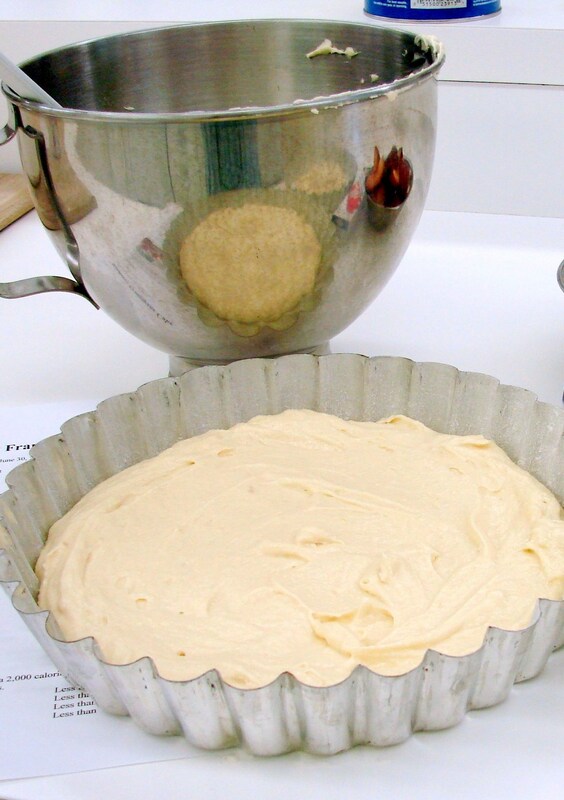 Prepare a 10 inch tart pan with a removable bottom, by greasing and dusting it with flour. 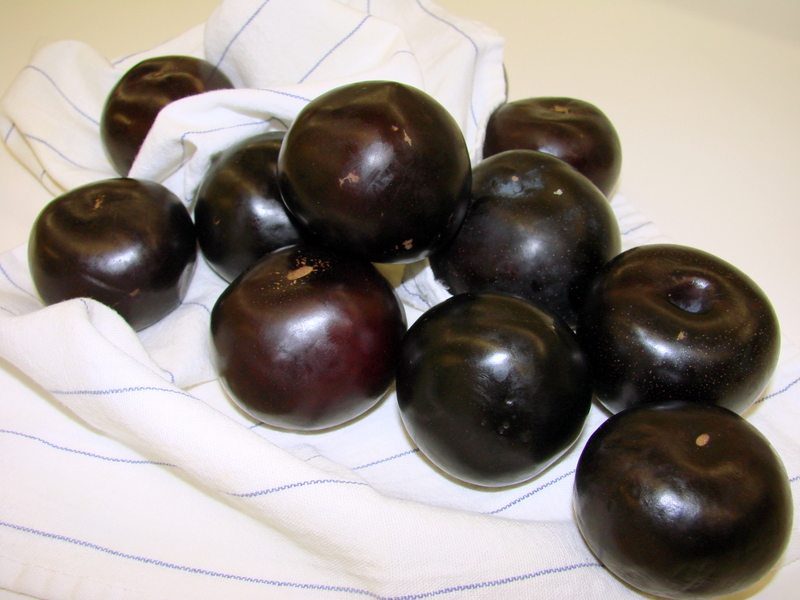 Remove the stone from the plums by cutting them in half and slice each half into 2 quarters. With an electric mixer or hand mixer beat the butter and sugar until very light in color, and very fluffy. Add the eggs one at a time. Add the zest of the lemons and Vanilla. Mix the flour with the baking powder. Add the flour mixture to the butter, sugar and eggs alternating with the milk. Mix well until it becomes a smooth, soft dough. Transfer the dough to the tart pan and smooth it with a spatula. Add the cut plum sections, skin down, on to the dough. Bake the cake at 350 F for about 1 hour or until a toothpick comes out clean. Cool the cake on a rack completely then transfer it onto a serving platter. Serve with softly whipped heavy cream sweetened with powdered sugar before serving. Or… just dust it with powdered sugar and serve it with Coffee or Tea! Everyone loves this cake in my family especially with a big serving of ice cream! 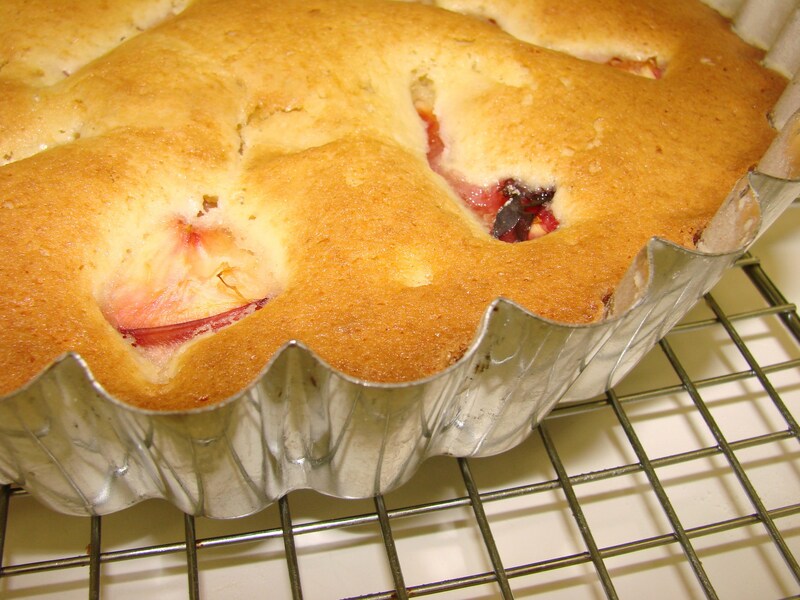 Do you have a Plum Cake or Tart recipe? Maria, here is a recipe our family has enjoyed at least once a year since 1958. The recipe came from Mrs. Hartwig, a wonderful German woman, who worked in Dining Services at Southern Methodist University. I was the assistant to the Food Service Director, so I often participated in the “goodie” times in the kitchen. Mrs. Hartwig would make these pancakes for small groups (up to 25 people). 1 c. milk to make a thin pour batter. You know the routine. 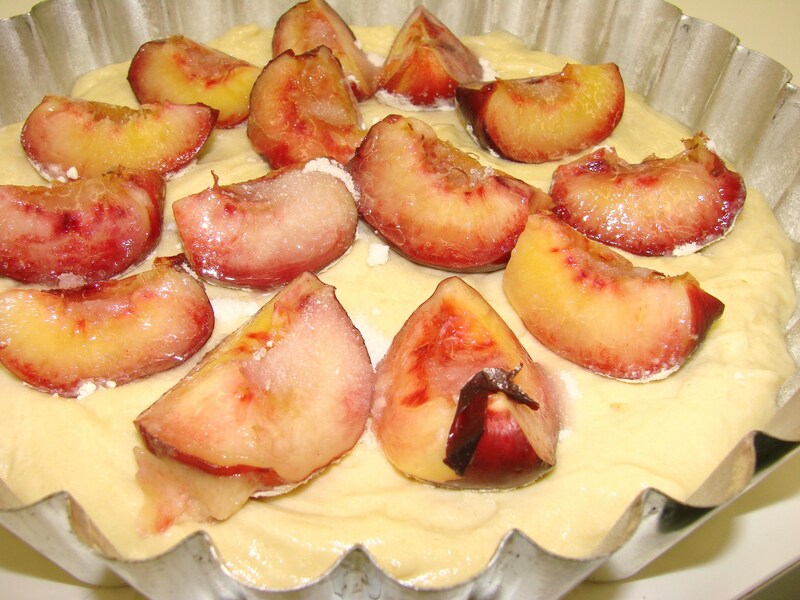 Swoosh the batter around a small oiled saute pan and put the sliced plums on top of the batter before it sets. When it is a little brown around the edges, flip it over and shake the pan over the stove until the plum slices are lightly browned. Turn the pancake, plum side up, onto a plate and top iy with a little sugar. You repeat this process (I usually had two pans going and I enlisted a family member to add the sugar because I felt like the proverbial one armed paperhanger), stacking the pancakes on top of each other. The plums make their own syrup as you work. When you take your apron off, the pancakes are cut into wedges to the delight of the family. No need for whipped cream or additional syrup. Just enjoy. Maria! Oh my!!! I wish I would have had this recipe at my fingertips when I had all of those plums from our backyard tree a few months ago. I am going to tuck this recipe away for next year — and report back to you moment I make it! ~ Mel. 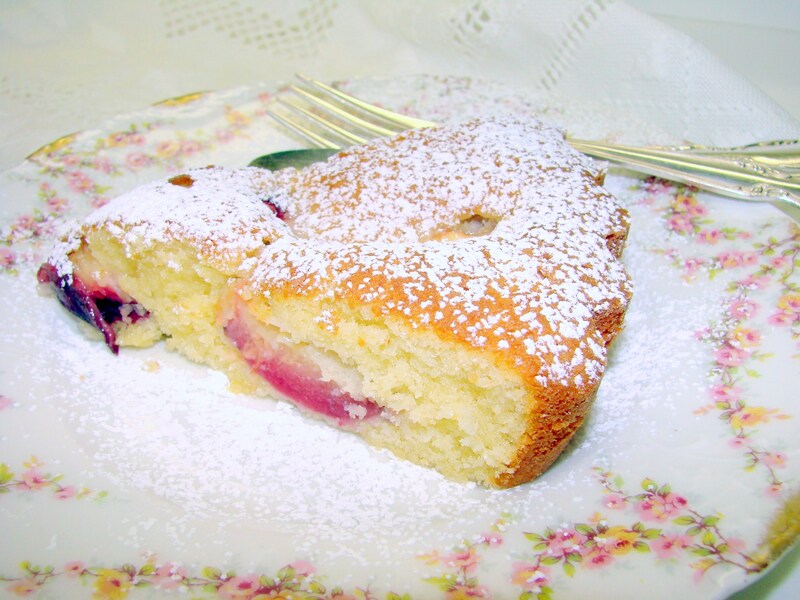 Hello Melanie…sorry I am so late in replying your very nice comment…I always love hearing from you….Next year when you make this plum cake…..make sure you have some vanilla ice cream in the house….that is how my husband loves it the best…. I love all you posts on FB and I love your humor, and your great responses to all your followers…love “reading” you…. Always a big hug to you…. 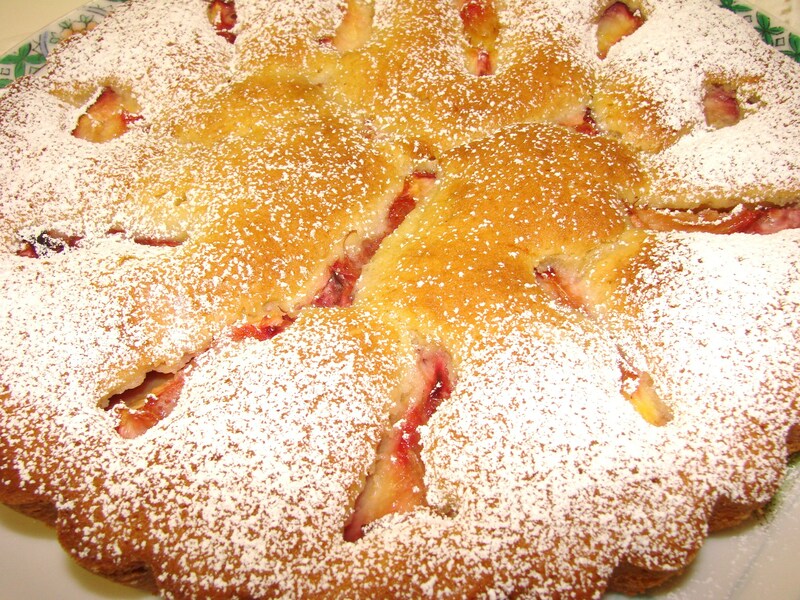 Just wanted to let you know that I made the plum Torte according to the recipe you sent. It turned out fabulous, the crust is light and fluffy. I served it with whip cream and it was a huge hit. I put the few slices that were left in the refrigerator and was surprised how dense the dough got.